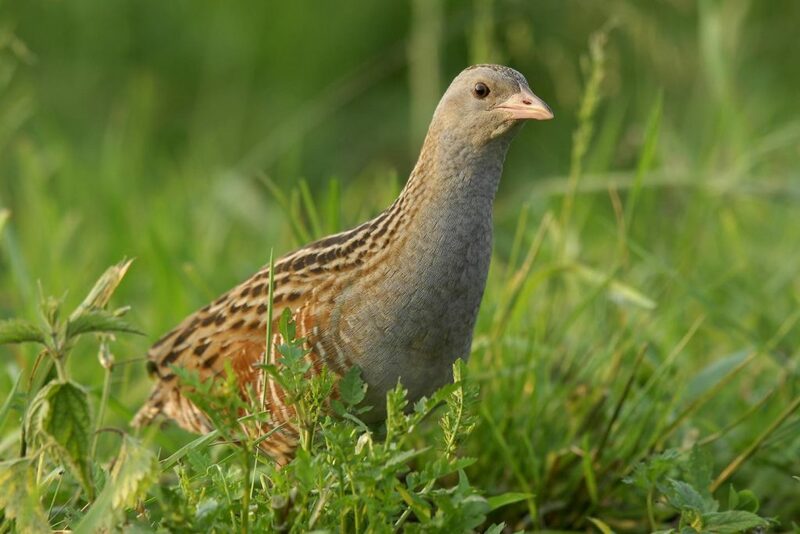 The Corn Crake bird (Crex crex) is also known as the landrail. It is a small bird belonging to the family ‘Rallidae’. The adult Corn Crake is 22 – 25 centimetres long and has mainly brown, heavily spotted upperparts, a blue-grey head and neck and reddish streaked flanks. Find out more!